Through Matilda’s passion for ornamental texture and form, she created her brand Tilda Jewels in 2018. 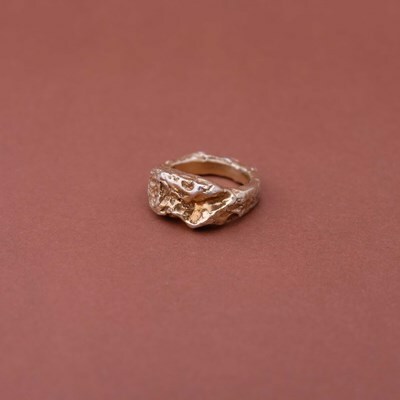 As a mostly self-taught jeweller, Matilda also studies fine arts and employs the use of traditional lost wax casting to sculpt her signature stone textures of the Mornington Peninsula into semi-precious 925 Sterling silver, brass and 18ct gold plating. Her signature styles of organic-minimalistic, sculptural rock forms driven by fine art are designed for everyone. Each piece is sculpted in wax before being cast in recycled metals and finished, each by hand through polishing and refining techniques. The results are unique as is the wearer and can be worn every day.